I don't usually post two exclusive-to-SPC articles, reviews, segments, etc. in one day. Since this was E3 week, why not? There was a shocking amount of regurgitated games being shown that were from previous events. In order to find actual new titles you had to search high and low through the hollowed halls of the Los Angeles Convention Center. Still, I imagined to piece together a handful of brand-new titles that have my curiosity aroused. The only non-Nintendo console game on this list, Beyond: Two Souls is a supernatural tale starring a girl named Jodie Holmes, voiced by Ellen Page. Quantic Dream, the developer behind Heavy Rain, claims the game will have a mature storyline featuring many choices for the player to partake in. What was shown at Sony's E3 press conference was a sensational-looking cutscene including a policeman trying to futilely and politely pry information from a nonspeaking Ms. Holmes. A SWAT team busts into the quiet town's police station, and the leader of the team instructs the policeman to open the door to the room the two were sitting in. 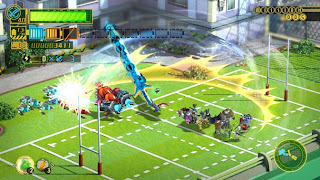 Then came a bunch of action-packed scenes. Since this game appears to be akin to Heavy Rain, who knows how much "gameplay" will actually be in this title? Nonetheless, I'm intrigued. Last year we saw a tech demo called New Super Mario Bros. Mii that looked nothing more than some new levels of the Wii version with an HD coating. This year the curtain was raised on the game's final form, New Super Mario Bros. U. The foreground and models still look blase, but the backgrounds are quite catching. I'm digging the art style and look of the game. 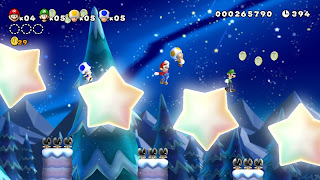 I've watched a player on the show floor go through the three demo levels: one beginning level, one set in the clouds atop mushroom platforms with a cameo by a red Baby Yoshi, and a level with twirling star platforms in a winter wonderland. The level design looks top notch to me. 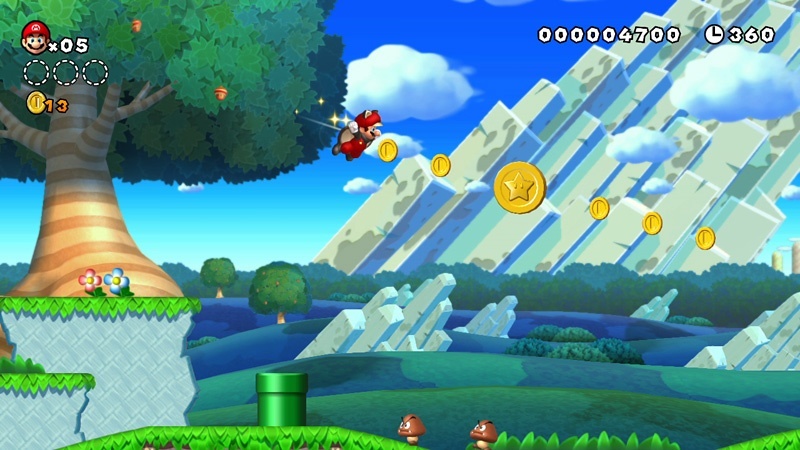 People have the jewels to compare New Super Mario Bros. to Call of Duty, but I don't recall New Super Mario Bros. to be a yearly series selling to college kids. 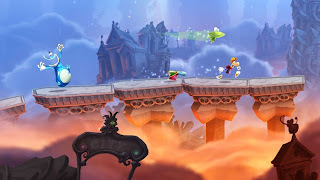 It is constantly providing everyone with what I like to call "comfort food gaming" with excellent level design and clever placement of obstacles, enemies, and traps. The opening for Nintendo's 2012 E3 show was very cute. 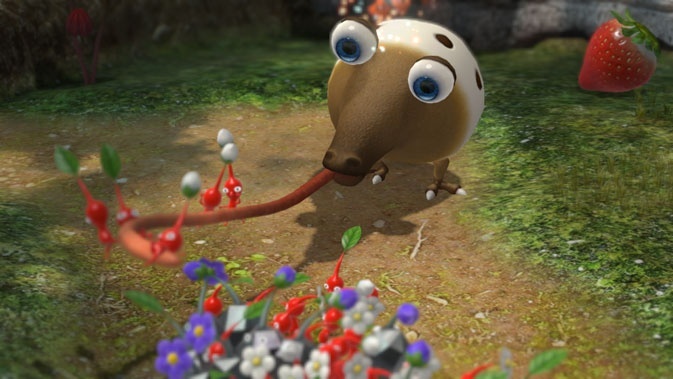 It had Shigeru Miyamoto in his dressing room with his pet creations, the Pikmin, sauntering and hiding anywhere and everywhere. 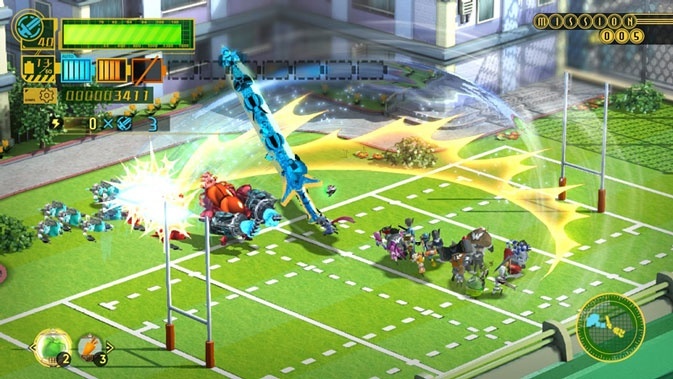 The game itself looks like it was moved in late development from Wii to Wii U (which it actually was), but it still resembles something particularly impressive. Utilizing either the comfortable Wii remote and nunchuk combo or the Wii U Gamepad, players can quickly and effortlessly cycle between groups of Pikmin, chucking them at foes, breaking down walls, and carrying objects back to home base. 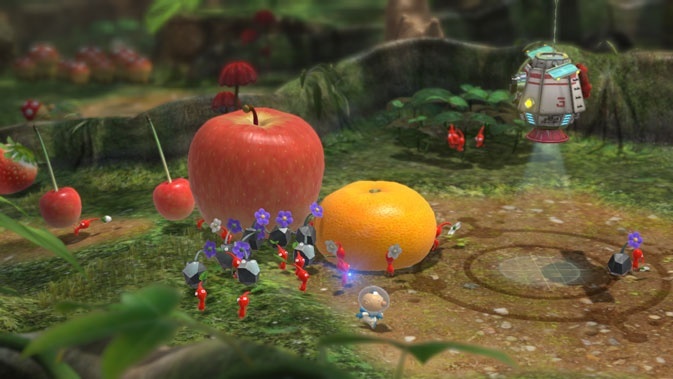 It's been ten years or so since we've last "pik-ed" up from Captain Olimar's journey on a strange planet, and it is great to have him back. Compared to New Super Mario Bros. U's style, Rayman Legends is a work of art. It's not known whether or not the game is a Wii U exclusive or maybe even a timed exclusive, but all we do know is that the game is coming to the Wii U during the launch period. 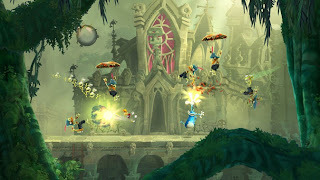 Wait-- two terrific modes of platforming on one console during one period? I must be gaming heaven. Sure, Rayman is a less-than-popular character, but his last game, Rayman Origins, was superb. The Wii U Gamepad offers content that wouldn't be available on other platforms if the game were to be ported. Having extra help and extra friends (using Wii remotes) is something that excites me. Did I mention that the game looks absolutely stunning? Now the exclusion of this game at Nintendo's press conference certainly ticked me off. Apparently showing a six month old game is considered valuable time spent but a cunning collaboration between Nintendo and Platinum Games isn't worth a millisecond to the presser public. 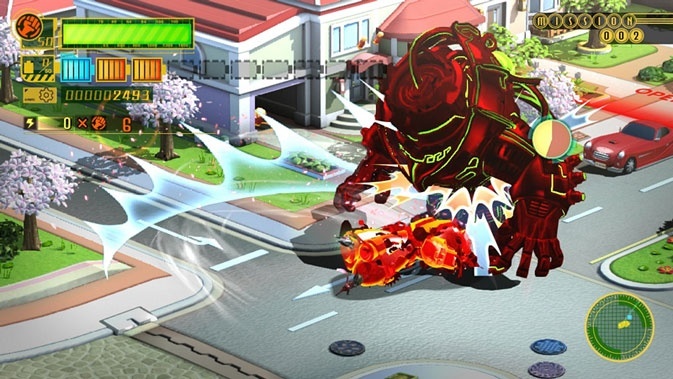 It is sort of what would happen if you combined Pikmin with Viewtiful Joe. It is almost set up the same way with levels being divided by sections where at the conclusion of each section your score for that part is shown. Your team of everyday superheroes can morph into many forms to take down formidable foes. A gun? No problem. How about a sword? Sure thing. What about pudding to bounce back enemy projectiles? You bet. This game has everything-- charm, wit, action, and something you don't see much in HD, color. I wonder if this game showing up at the E3 conference would have made fans less agitated and more enthused with the Wii U. 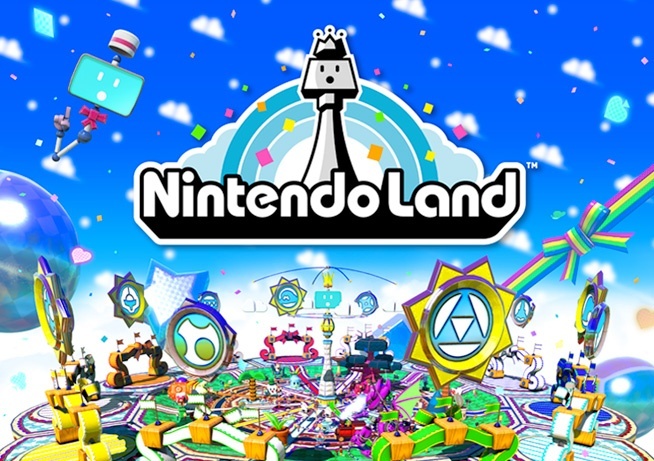 Maybe not the best game to end a show on, but then again, E3 really doesn't matter as much as it has in the past, Nintendo Land takes twelve existing Nintendo properties such as Mario, Luigi's Mansion, The Legend of Zelda, Metroid, Animal Crossing, Donkey Kong, and F-Zero and makes mini-games inspired from them. 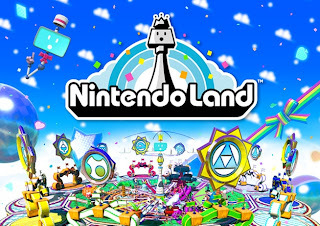 Something tells me as someone who is a forward-thinker (feel free to boast, SuperPhillip) that Nintendo Land is meant to be a game to get the word out of Nintendo's franchises to people who wouldn't normally know about them. So when F-Zero U (this game is not confirmed whatsoever), for example, arrives on store shelves, the unassuming consumer can go "hey, I played something like that on Nintendo Land" and pick the game up. I'm wondering if Nintendo is planning on making this the Wii Sports of the Wii U or if it will be doomed to be the Wii Play of the system. I have carefully contained hype for this game. We'll see how it shapes up much later, as well as what the other six mini-games are-- even though the franchises have been hinted by game icons. ...Or just choose an article to start rambling about from the SPC Feature Catalog.